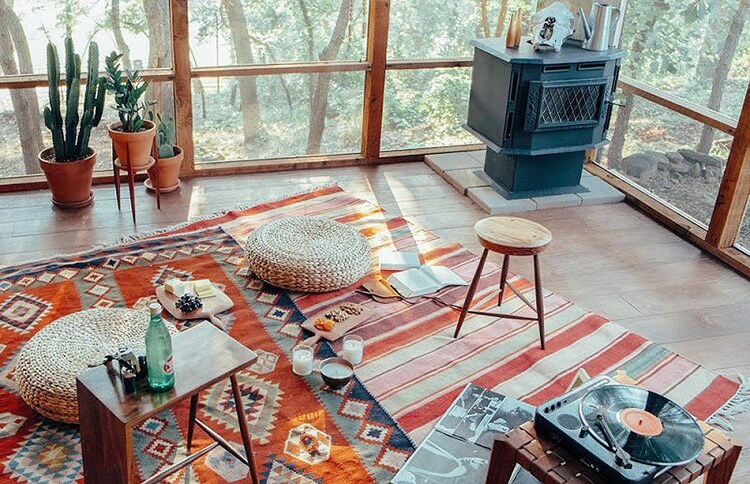 Its time for all us free spirits out there to embrace our Bohemian style and create zen-like living spaces, that reflect our inner hippie spirits with vintage Bohemian rugs. Some may have expected the bohemian and vintage trends to have been retired by now, but the truth is that these styles have a perennial appeal. This holds true especially during those so-called “hard times” when world news headlines are gloomy and the general public is feeling lost or disillusioned. It’s human nature to surround oneself with things of beauty and meaning, and that impulse is even stronger when the world seems like a chaotic disarray. Think of the 1930’s or the 1960’s: short hemlines and bright happy colors accompanied with signature fashion pieces borrowed from grandma’s closet. 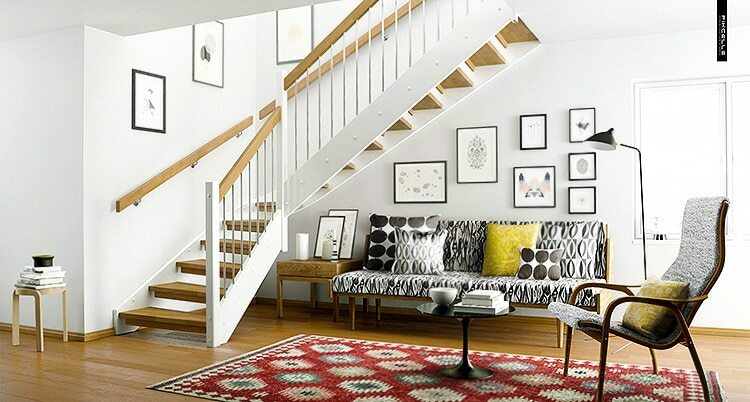 When the going gets tough, traditional prints and bold color statements rule the world of interior design and fashion. 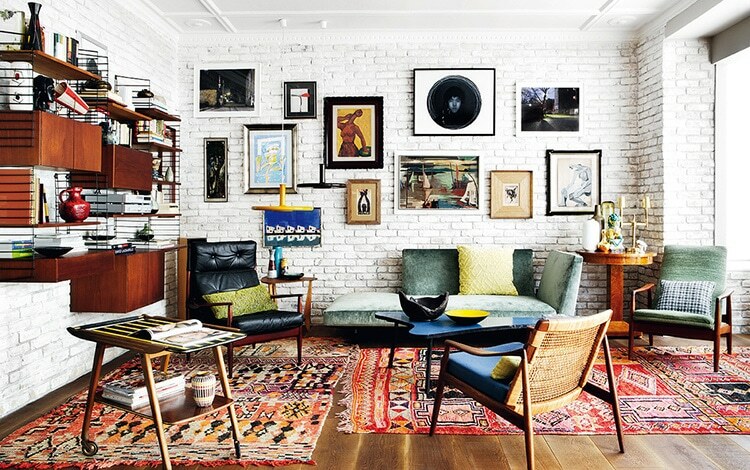 The heart of the bohemian style is free spirited elegance and adaptable eclecticism. 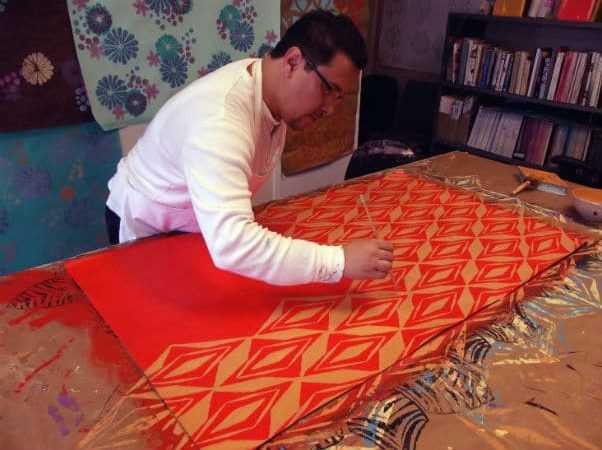 Think of beaded lampshades, complex traditional graphic elements, and bold color schemes. Part of the appeal of the boho chic style is that components can be drawn from thrift stores and attics as easily as a posh high end galleries and retailers. The key is to show off your unique and personal aesthetic. One approach is to pick a signature color that brings your joy and happiness, then build your home decor around it. Traditionally, bohemian interior decor schemes employ one or two strong accent colors and layer them with earthy and neutral shades to provide a soft, inviting appearance. The Boho Chic interior look is not restricted to bold colors. Many of the your bohemians of today are gravitating to the simplicity and free form design approach of the vintage Moroccan rugs. 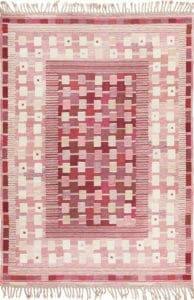 Many find the that simplicity of the Moroccan Beni ourain rugs exude a sense of calm and freedom. Not to mention their soft shag rug texture offers ppl the ability to just throw some poofs around, or even just sit / lounge around on the rug itself. That said, there are a wide variety and different styles of Moroccan rugs that people seem to gravitate to when looking for Bohemian rugs. The recent resurgence of the vintage mid century Scandinavian rugs has also worked its way into the hearts of the free spirited Bohemians of today. The Scandinavian approach are great for those who love symmetry, geometry, simplicity and color. 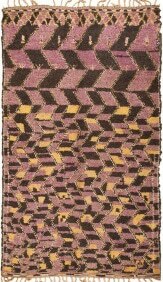 The fact that many were produced as flat weave rugs makes them great for layering. While it’s true that freedom and romance are the trademarks of a vintage bohemian look, it’s easy for this style to get out of hand and look like a mess. To avoid this, follow the simple rule of less is more to create a unified and visually delicious combination. 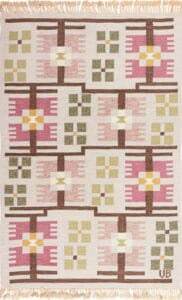 Most mid century vintage rugs feature nostalgic, traditional patterns or primitive tribal designs. Ethnic and traditional patterns are gorgeous in and of themselves and never truly go out of style. 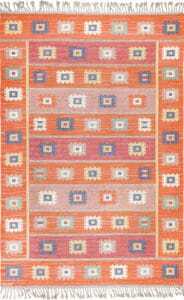 Aside from classic vintage Persian rugs, authentic Caucasian, African, and Native American Navajo patterns are stylish choices. Selecting a pattern that showcases your family’s individual style and / or travel history is a wonderful way to add a touch of personal story and history. 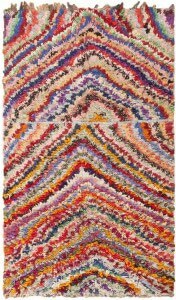 Another simple Bohemian approach that creates elegant and beautiful effects is layering rugs on top of other rugs. This layered approach to interior design has always been a staple of many within the boho chic style community. One way to create a beautiful layered look is to pair light, lacier fabrics over heavy, darker bolder ones. A simple piece of lace can easily subdue a rug whose colors are “too loud” or cover a specific pattern that for whatever reason you may not particularly like. 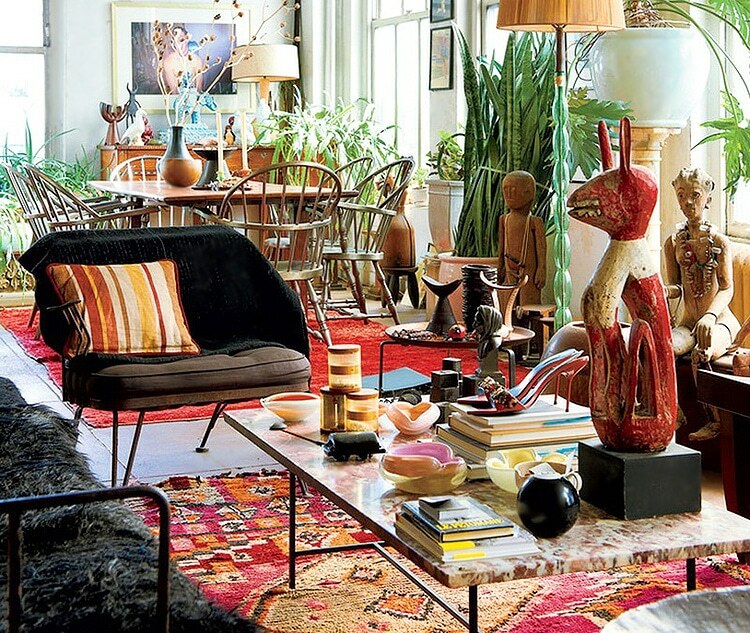 When shopping for vintage Bohemian rugs, keep in mind that you must pick a piece that is “very you”. 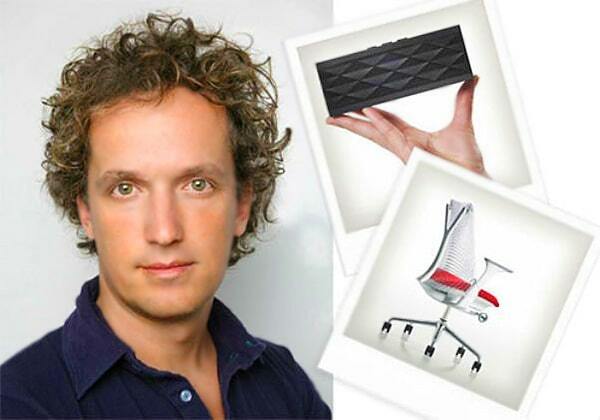 One of the most important factors in the boho chic design approach is the sense of individuality. So make sure buy rugs that you truly love and that reflect who you are. 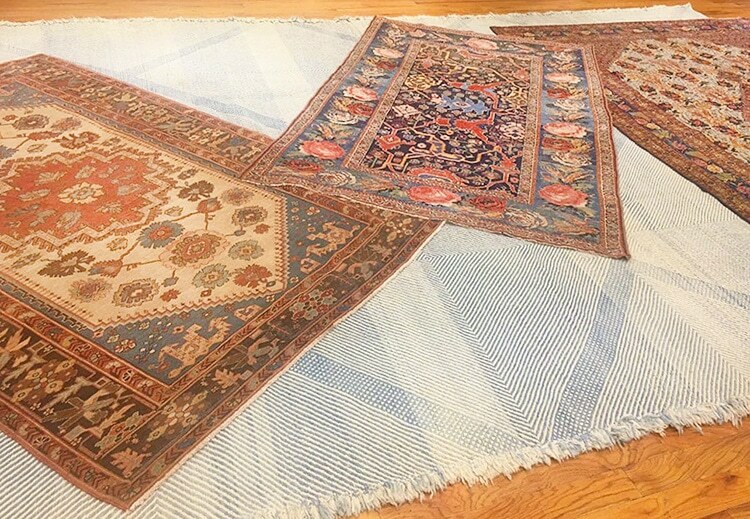 This interior design blog about using vintage Bohemian rugs for creating beautiful Boho Chic interiors was published by Nazmiyal Antique Rugs in NYC.